These popular scapulars are colorful, durable and very affordable. 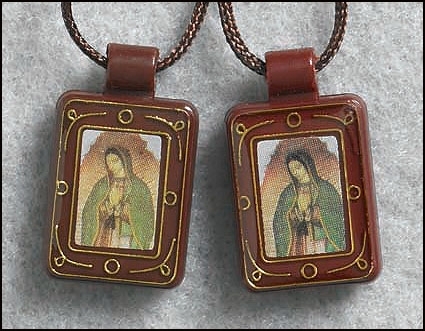 Each features a traditional full-color Catholic image of Our Lady of Guadalupe inside a plastic casing for protection. Perfectly priced for giveaways!